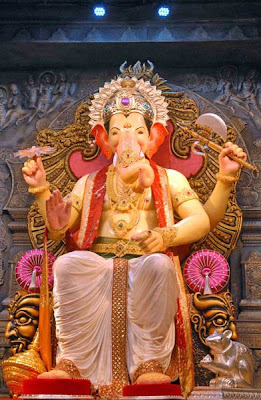 LALBAUGCHA RAJA (The Emperor of Lalbaug)" is name of the popular Ganesh Idol of "LALBAUGCHA RAJA SARVAJANIK GANESHOTSAV MANDAL". 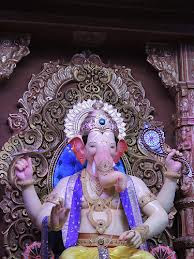 The Mandal, formerly known as “SARVAJANIK GANESHOTSAV MANDAL, LALBAUG” was founded in the year 1934, at its existing place. 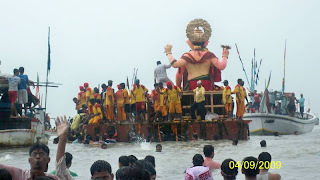 With the consistent efforts & support of the then local Councillor-Late Shri. 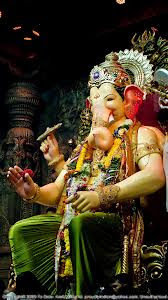 Kuwarji Jethabhai Shah, Dr. V. B. Korgaonkar and the local residents, the landlord Rajabai Tayyabali agreed to give a plot for construction of a market. 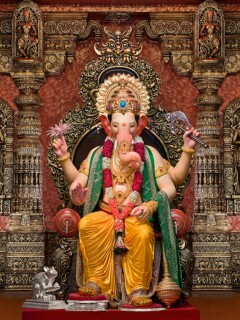 Lalbagcha Raja Live Darshan Arrengement by Mandal in All world. 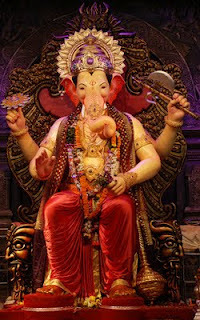 Lalbaugcha Raja is Mumbai’s famous Ganesha idol and large number of crowd turns out for darshan (Worship) during the 10-day long Ganesh Mahotsav. 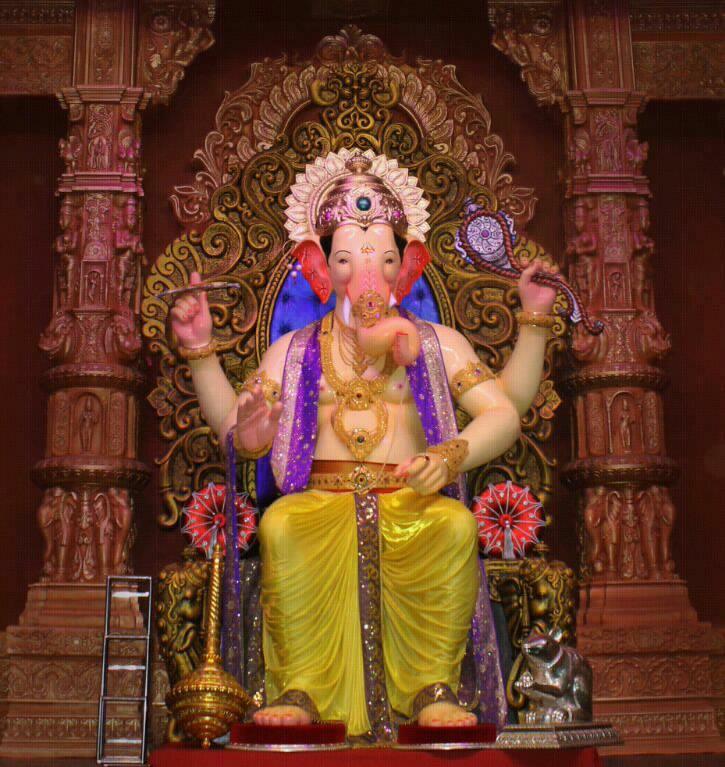 It is expected that around six lakh people will visit the Lalbaugcha Raja idol each day. 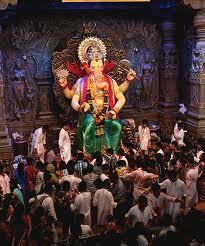 According to the sources, a devotee will have to wait 10 hrs to reach the idol. 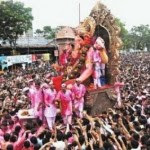 The queue is expected to eight-km long from the pandal. The Lalbaugcha Raja Sarvajanik Ganeshotsav Mandal is famous for its innovative idea every year. The Madal has prepared a massive float for Lalbaugcha Raja’s immersion ceremony. 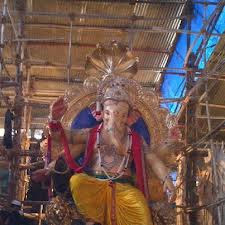 The massive float will help the immersion of Lalbaugcha Raja in deep sea. On the other hand, thick security arrangements have been made in the wake of possible terror threat. 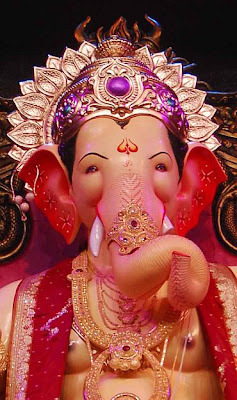 The Mumbai Police has deployed around 1500 policemen while the Lalbaugcha Raja Sarvajanik Ganeshotsav Mandal has its own 5000 guards. 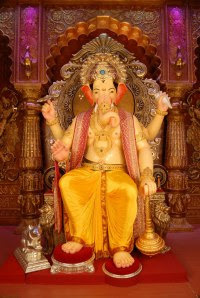 This Ganesh idol is also known as Mumbai’s Gold Ganesha. 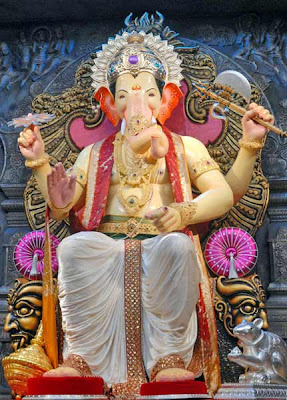 Adorned with 61 kilograms of gold and more than 300 kilograms of silver, GSB Seva’s Ganesh idol will remain for first five days of Ganesh festival. 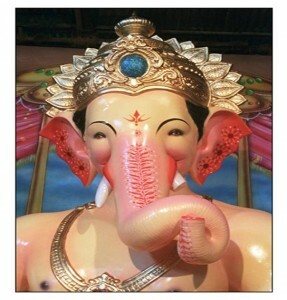 The height of the idol is 20 feet. 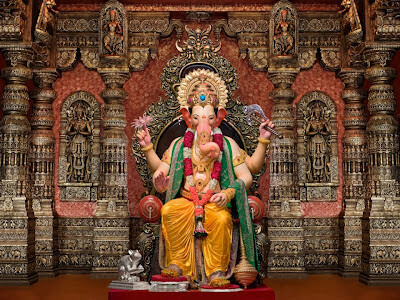 As the entire Maharashtra has been set to celebrate Ganesh Chaturthi or Vinayaka Chaturthi Festival from Saturday, the famous Lalbaugcha Raja Sarvajanik Ganeshotsav Mandal has made special arrangements for the devotees. This year devotees will offer prayers to City’s famous Lord Ganesha’s idol in air condition facilities. 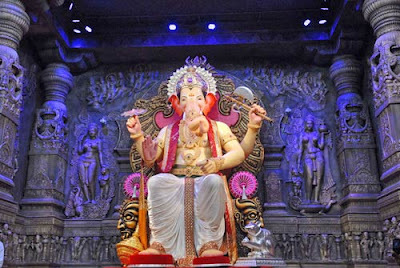 Lalbaugcha Raja is Mumbai’s famous Ganesha idol and large number of crowd turns out for darshan (Worship) during the 10-day long Ganesh Mahotsav. 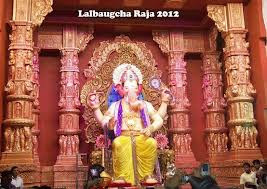 It is expected that around six lakh people will visit the Lalbaugcha Raja idol each day. 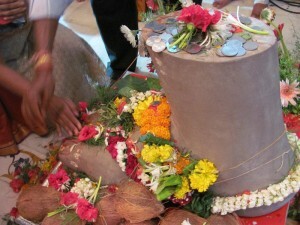 According to the sources, a devotee will have to wait 10 hrs to reach the idol. 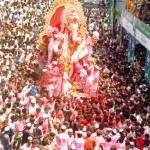 The queue is expected to eight-km long from the pandal. 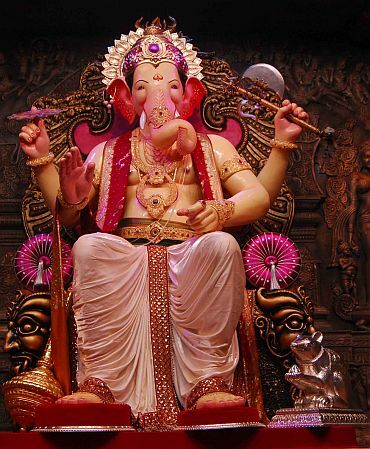 The Lalbaugcha Raja Sarvajanik Ganeshotsav Mandal is famous for its innovative idea every year. 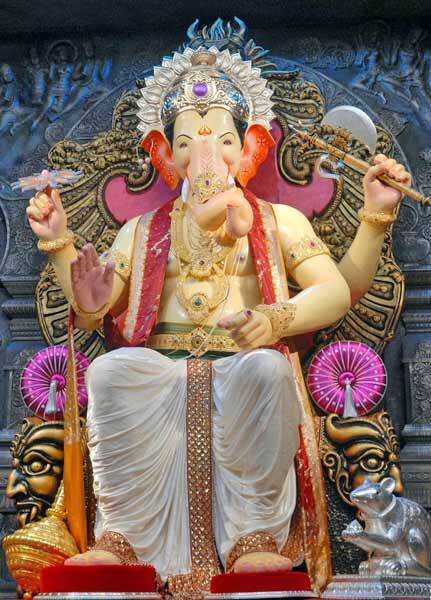 The Madal has prepared a massive float for Lalbaugcha Raja’s immersion ceremony. The massive float will help the immersion of Lalbaugcha Raja in deep sea. 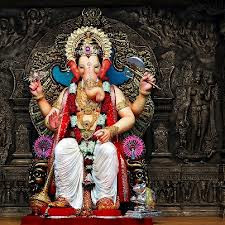 On the other hand, thick security arrangements have been made in the wake of possible terror threat. 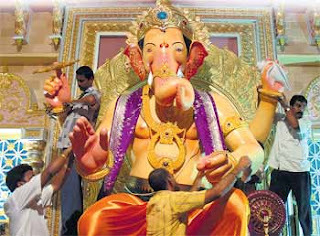 The Mumbai Police has deployed around 1500 policemen while the Lalbaugcha Raja Sarvajanik Ganeshotsav Mandal has its own 5000 guards. 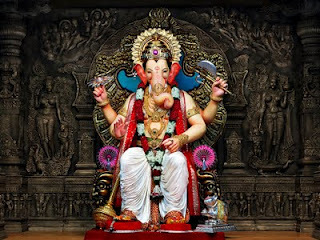 shower you with success in all your endeavors. Celebrate Festival of Lord Ganesha. 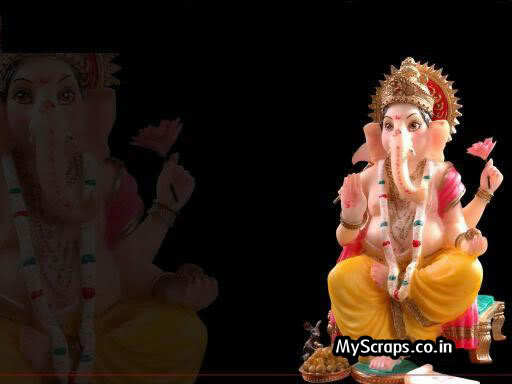 wen Ganesha ascended on dis earth 2 kill evil.